Lovely navy-ivory shawl from Ethiopia. What makes this shawl so unique is that it is double layered. Both panels are held only in the middle creating a beautiful unity. 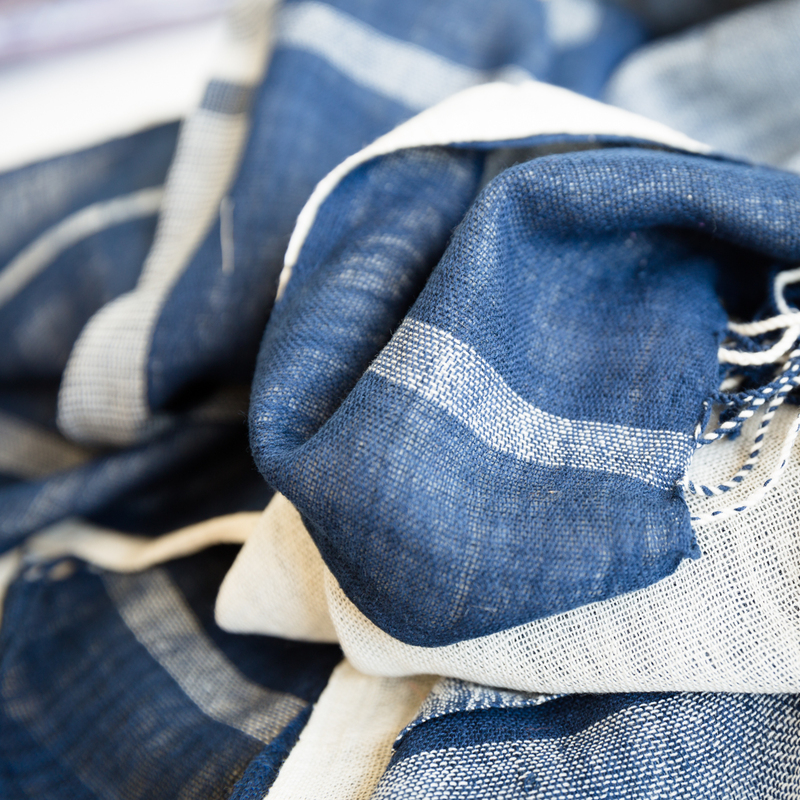 The shawl is handcrafted from locally sourced cotton by artisans working with Sabahar, a Fairtrade organisation in Addis Abeba.